LOS ANGELES (AP) — The giant "Transformers" robots have shrunk a bit in the early going at the box office. 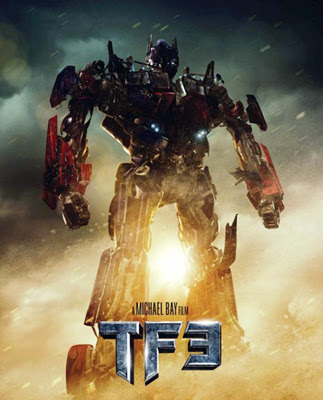 Distributor Paramount Pictures says "Transformers: Dark of the Moon" launched with $13.5 million domestically in screenings Tuesday night and Wednesday morning. That's less than the $16.6 million that the second of the three "Transformers" flicks, "Revenge of the Fallen," took in from midnight screenings alone two years ago. "Revenge of the Fallen" went on to top $400 million domestically and $800 million worldwide. "Dark of the Moon" pulled in $5.5 million from screenings that started at 9 p.m. or later Tuesday at about 2,700 theaters. The movie added $8 million at about 3,000 cinemas in post-midnight showings overnight. The comparison to "Revenge of the Fallen" is worse considering that 70 percent of revenues for "Dark of the Moon" came from 3-D screenings, which cost a few dollars more than 2-D showings. That means even fewer tickets sold than for early screenings of "Revenge of the Fallen," which played only in 2-D. Still, "Dark of the Moon" is expected to do huge business the rest of the week and over the Fourth of July weekend, one of the year's busiest times at theaters. Paramount has expanded the movie domestically to about 4,000 theaters.